Jaipur in Rajasthan is known for royalty and legacy of Rajputs. May be due to the reason, the neighboring places of Jaipur are also well-known for many touristic attractions and monuments. 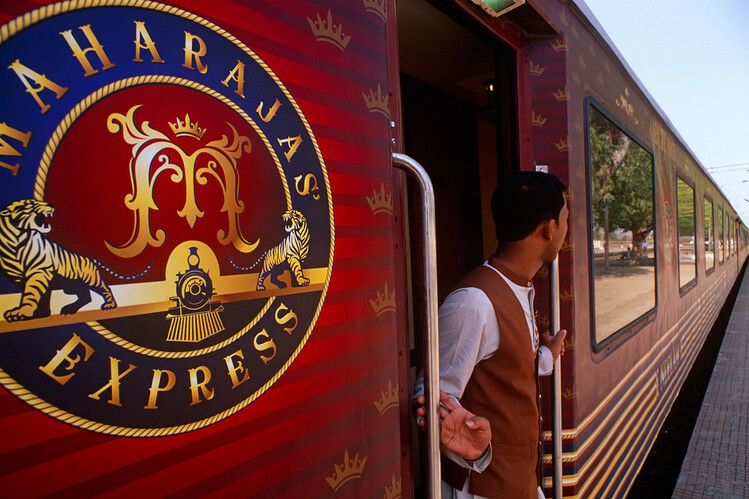 Different places with different attractions near Jaipur attract traveler’s heart. Let’s have a look at the Top 15 Places near Jaipur within 300 kms. 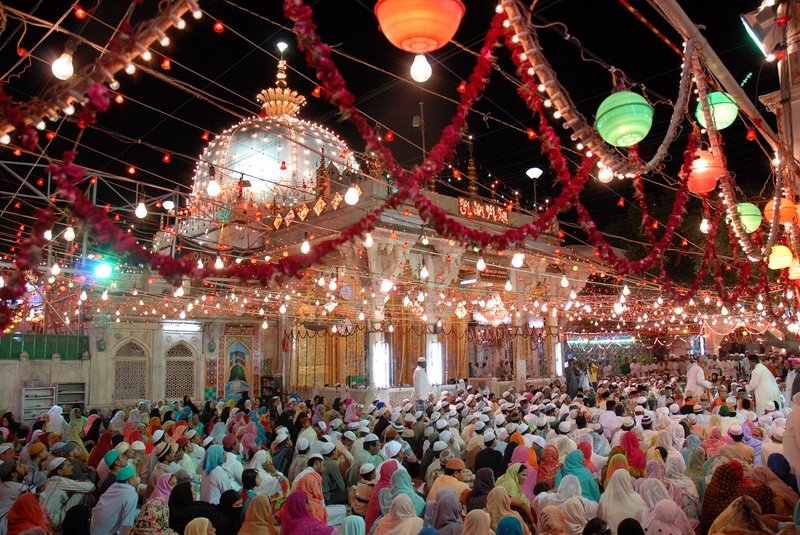 Ajmer is a holy place for Muslims due to the famous Dargah Sharif mosque, every year hordes of people visit this place. This holy city was established in 7th century by the King Prithviraj Chauhan. 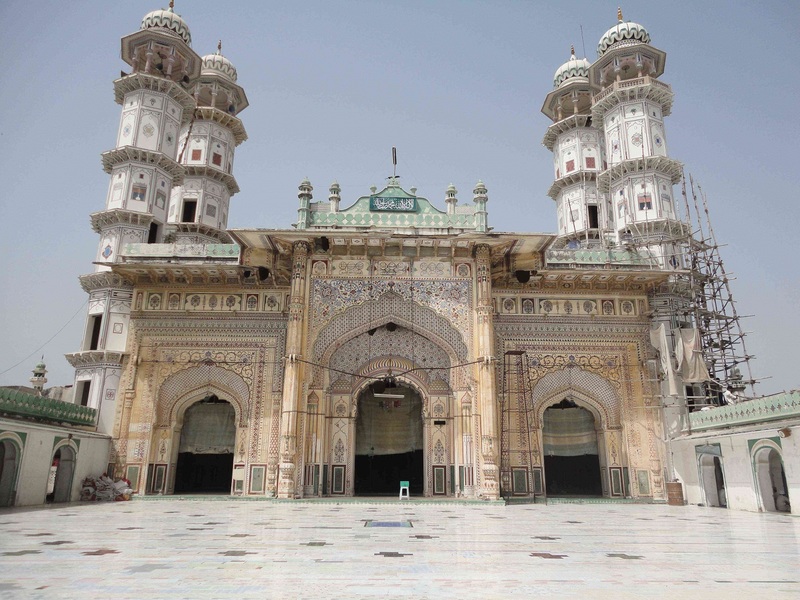 Ajmer is the right destination in Rajasthan to witness the beautiful Mughal architectural styles. Apart from tourist attractions, the greenery of Aravalli ranges around Ajmer stoles visitors heart. Simply, Ajmer is spiritually and naturally, a must visit place near Jaipur. 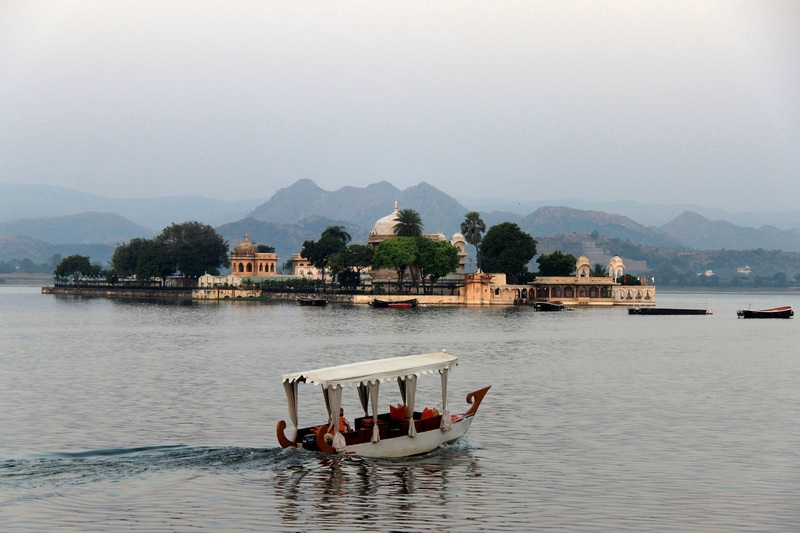 Tourist Attractions: Ajmer Sharif, Clock-tower, Akbar’s Palace and Museum, Nareli Jain Temple, Ana Sagar Lake, etc a lot. Alwar is like a weekend destination for Jaipur with a lot number of tourist attractions like forts, lakes, natural reserves, heritage havelis etc. Simply, Alwar is a full-packed destination with varied attractions. 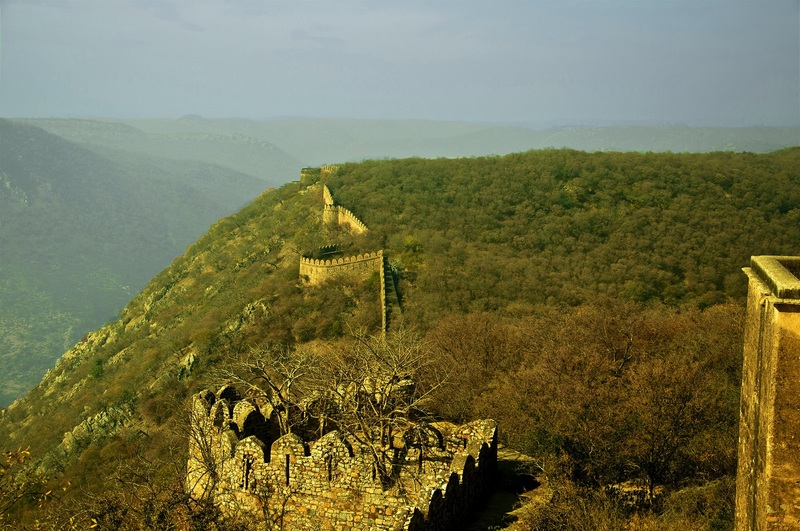 Historically and naturally, there is a lot to see in Alwar from the rustic forts to the greenery of Aravalli ranges. The calm and pleasant city Alwar is the recommended place for the people who show interest in historic monuments. Tourist Attractions: Bala Quila fort, Bhangarh Fort, Sariska Palace, Siliserh Lake Palace, Sariska wildlife sanctuary, City Palace etc. Ranthambore is a well-known wildlife destination in all over India not only in Rajasthan, located at the foothills of Aravalli and Vindhya hills. Ranthambore is the place for historic and ruined forts of past kingdoms, valleys, hills, and thick forest etc. Most importantly, here it is very easy to see a tiger and they are friendly also. 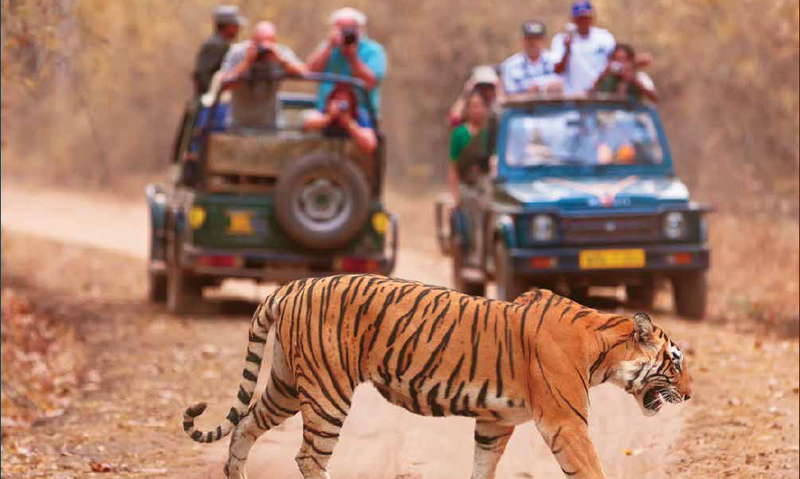 Safaris and visiting ruined forts in the National park will be the most memorable experiences in Ranthambore. 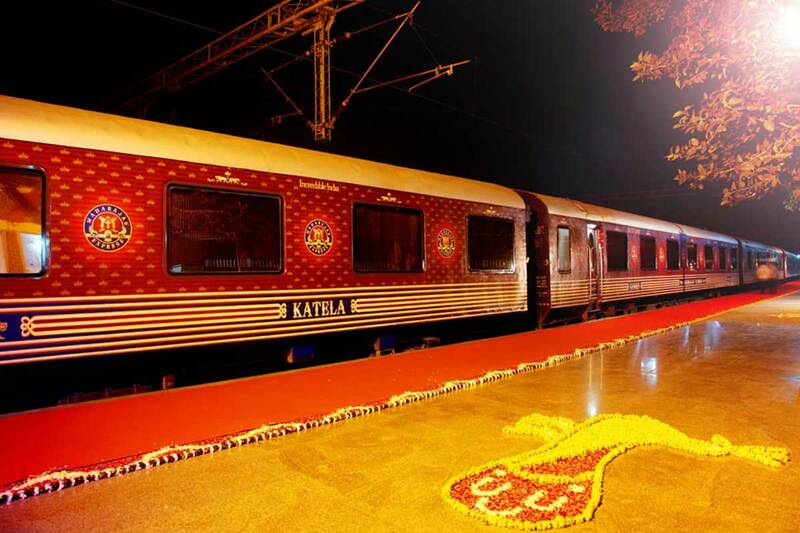 Tourist Attractions: Ranthambore National Park, Ranthambore Fort, Kacheeda valley, Padam lake, Jogi Mahal etc. Also Read : What is the Best Time to Visit Ranthambore? 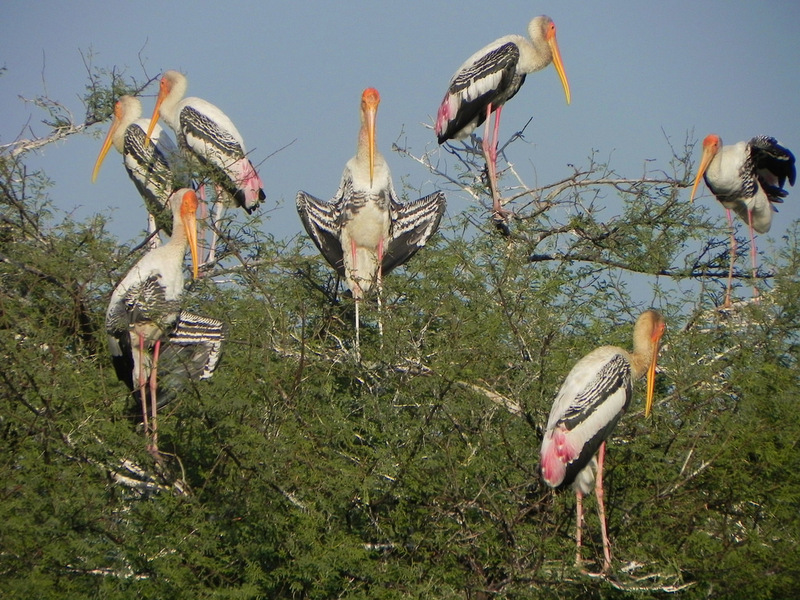 Bharatpur is an ideal place for birdwatchers and nature seekers. Located amid golden tourism triangle of Delhi and receives a large number of people from all over the world. The major attraction of Bharatpur is the Bharatpur National Park or also known as the Keoladeo National park. In bird sanctuary, you can witness numerous species of birds. Apart from the bird sanctuary, here you can visit temples, forts, etc. However, Bharatpur is the best place for nature seekers. Tourist Attractions: Bharatpur National Park, Banke Bihari Temple, Lohagarh Fort, Ganga Mandir, Laxman Temple etc. A renowned village for arts and culture in the Shekhawati region and also known for Mandawa Fort. Mandawa is a pretty village with open arts displaying through paved gateways, fortress, havelis etc in the village. In the past, it is the center for traders. Due to this reason, the village resembles the bygone era of olden times with authentic attractions. Mandawa is a must visit place near Jaipur to witness the rich culture and arts of Rajasthan. Tourist Attractions: Castle Mandawa, havelis of Mandawa, Open Air Art Gallery etc. Pushkar is a popular city in Rajasthan for Camel Fairs and rich cultural habitation. The major importance of the city is its Brahma Temple because temples for Brahma are nowhere will be found. 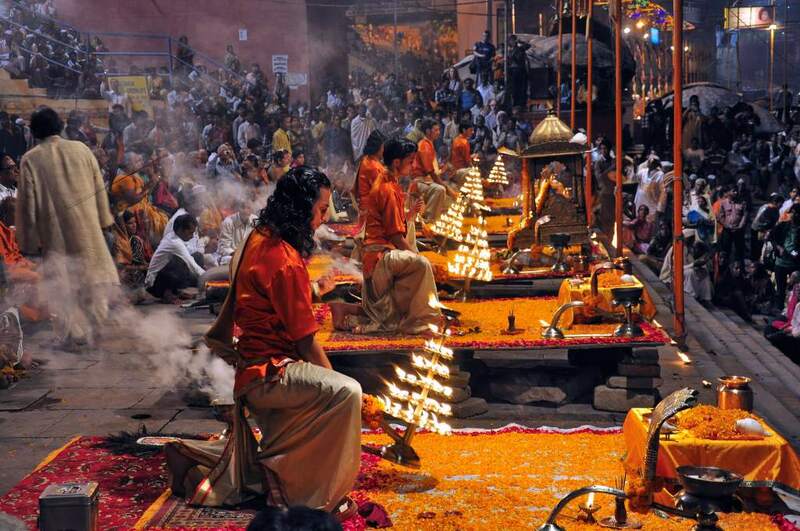 Spiritually and culturally, Pushkar is also a well-known city near Jaipur. Here you can find numerous temples and serene places to enjoy the beauty of the city. 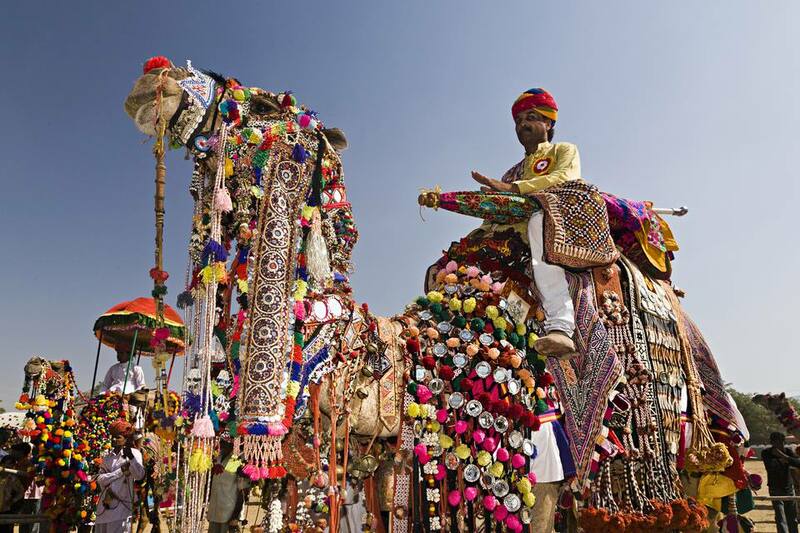 However, never miss the Pushkar Camel Fair. Tourist Attractions: Brahma Temple, Pushkar Camel Fair, Pushkar lake, Varaha Temple, Rangji Temple, Rose Garden etc. Shekhawati is a popular city and widely known as the “Open Gallery of Rajasthan”. The title for the city came because it is the largest clustered frescoes works region in the world. Shekhawati is a famous trade market in the past days. Due to this reason, so many havelis and fortress were constructed for trade markets. Today, these architectural attractions made this city popular. 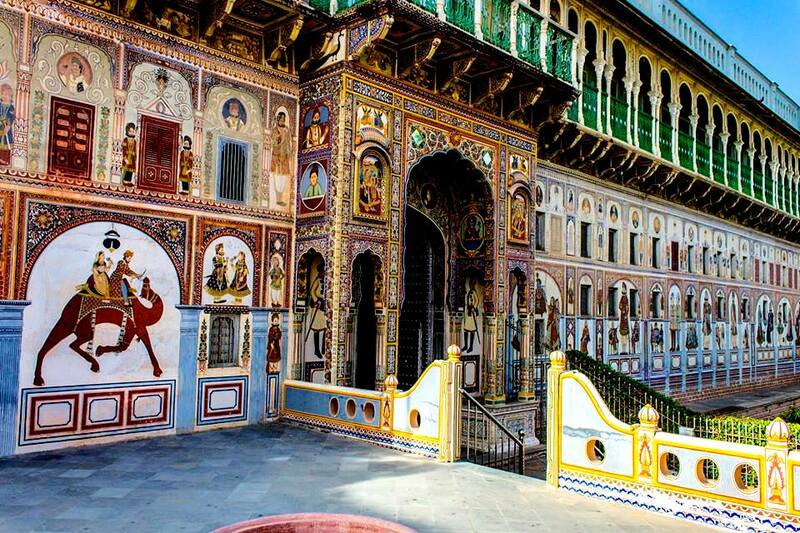 Near Jaipur, Shekhawati is a must visit place to witness Rajasthan’s bygone era of arts and culture. Tourist Attractions: Mandawa Fort, Laxmangarh Fort, Nawalgarh known for havelis, Dundlod, Horseback riding etc. 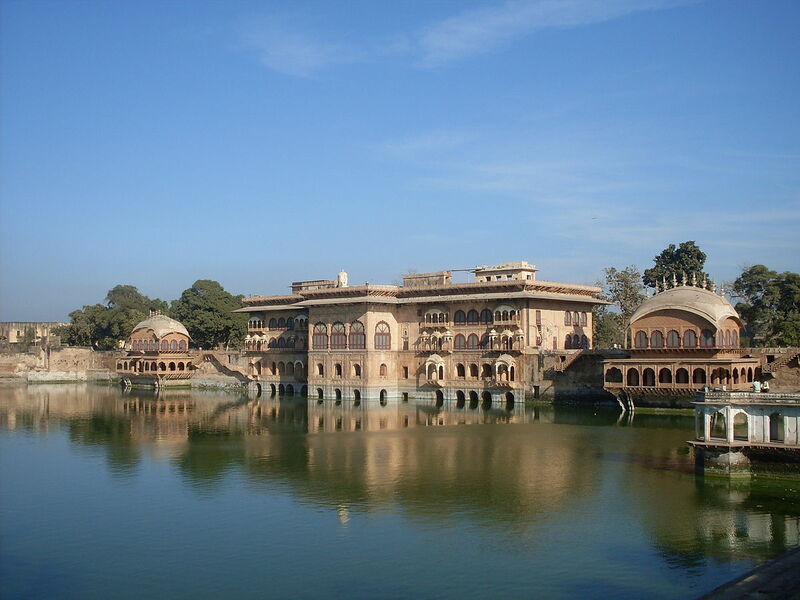 Fatehpur is a prominent part of the Shekhawati region in displaying arts and culture. Fatehpur is a different and unique place to experience the different frescoes works. This ancient town holds numerous temples and oldest monuments attractions which display rich arts and cultural styles. For the people who are interested in arts and culture, Fatehpur is a significant place to witness Rajasthan’s utmost cultural attractions. Tourist Attractions: Nadine Cultural Center, numerous temples and havelis, and Dholi Sati Dadi Mandir etc. 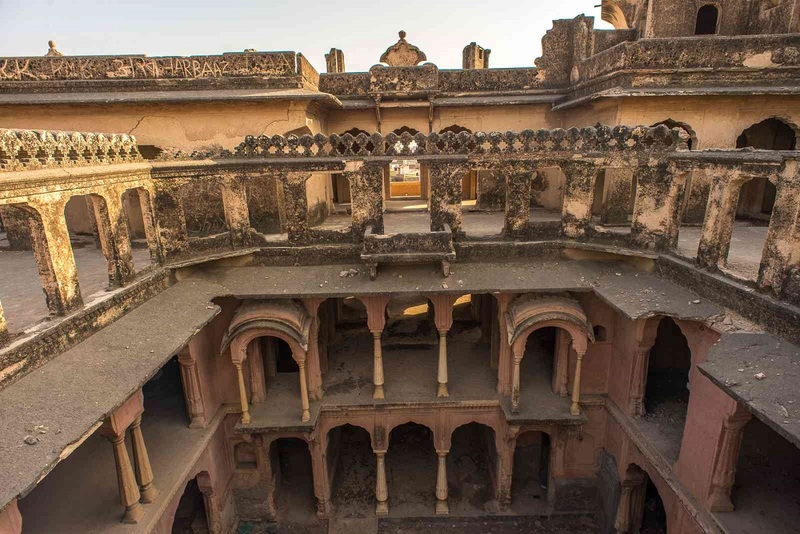 Jhunjhunu is one of the most ancient towns in Rajasthan. This ancient town is very popular with ancient forts, havelis, temples, palaces etc. 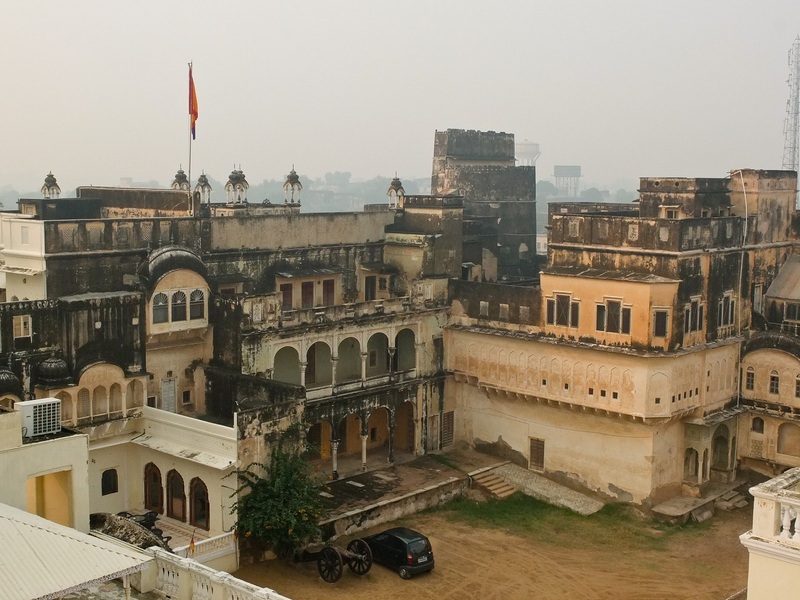 For the history enthusiasts, Jhunjhunu is the right place to explore a lot. Apart from historic attractions, the natural beauty of the Aravalli hills with lush greenery looks very attractive. 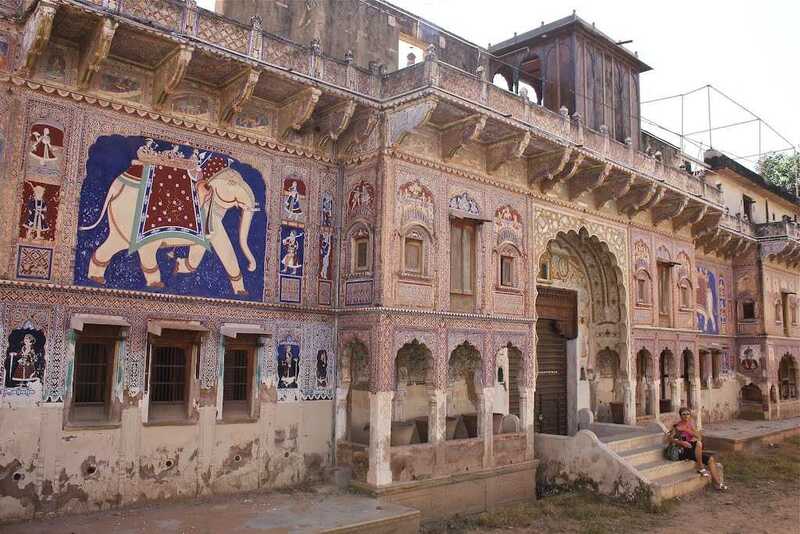 Jhunjhunu is an explore-able near Jaipur to witness the bygone era of Rajasthan through temples, forts, and havelis etc. Tourist Attractions: Rani Sati temple, Khetri Palace, Lohargal, Modi and Tiberwal havelis, and other numerous forts and havelis. Sariska Wildlife Sanctuary in Alwar is a must visit place in Alwar to experience the wildlife of Rajasthan. This wildlife sanctuary is home for Bengal Tigers and many endangered animals. It covers the dry deciduous forests, grasslands, scrub-thorn arid forests etc. 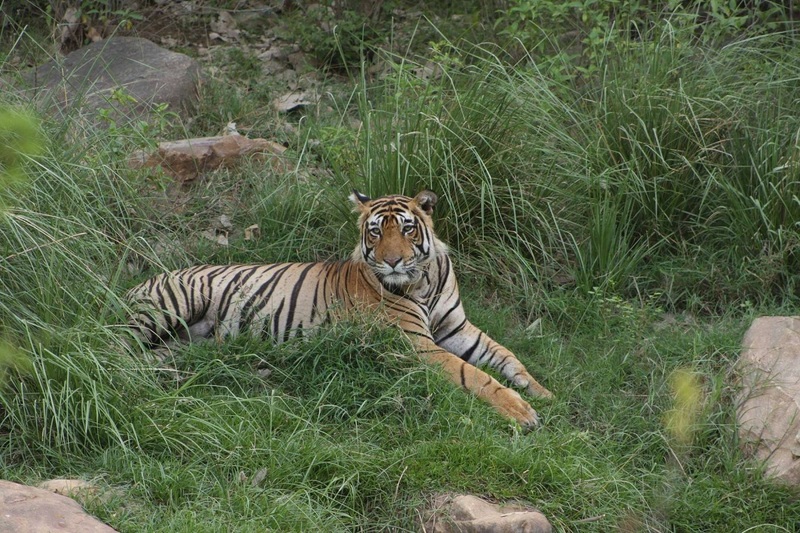 After Ranthambore, Sariska is the most visited wildlife sanctuary. For history buffs, Sariska is a define place because of the medieval temples of Garh-Rajor. Tourist Attractions: Medieval temples, Pandopil, and the temples built by the Pandavas with Bargujars. Once Bundi was home for various local tribes and it is popularly known as “The Queen of Hadoti”. Here you can experience many significant architectural attractions like palaces, forts, haves, temples, chhatris, etc. But the major attraction of this place is “Baolis” means step wells. 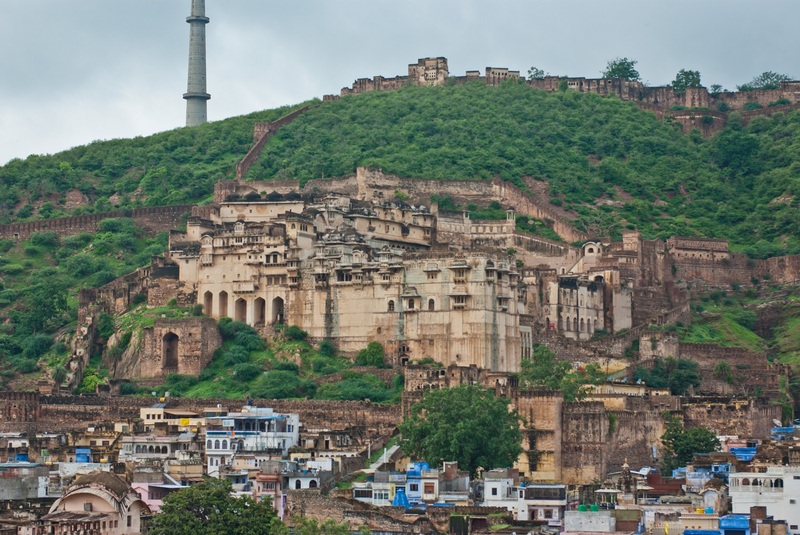 Historically, Bundi is the most important city which is the place for many battles and wars. A great wall around the Bundi city with four gateways is an interesting thing. Tourist Attractions: Taragarh Fort, Badal Mahal, Moti Mahal, Garh Palace, Chaurasi Khambon ki Chattri, etc. Deeg is a small town with a lot number of attractions near Bharatpur city. Actually, it was a summer resort to the Royal Family. The major attraction of the village is the pleasant and tranquil environment. A lot number of people hike to this place on weekends to get relax from hustle and bustle lifestyle. With a rural background and untouched natural attractions, Deeg attracts everyone attention to visit at least once. 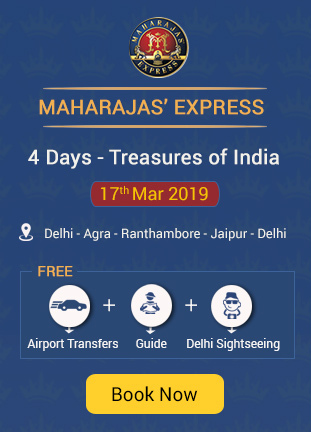 Tourist Attractions: Havelis with different architectural styles, Deeg Fort, and nearby Bharatpur. Kota is a blissful city alongside Chamba river and it was ranked as the 3rd popular city in Rajasthan. The best synonym name suits from Kota is the Happy city. Because the city looks adorable with plenty of water attractions like bird watching sites, crocodiles watching sites near the Chambal river, and boat riding etc. Apart from touristic attractions, Kota is a prominent place for education, that’s why Kota is quoted as the “Education City of India”. And also famous for fabrics, various gardens etc. Tourist Attractions: Seven Wonders Park, Kota Barrage, Chambal Gardens, Kishore Sagar and Jagmandir Palace, and Garardia Mahadev etc. Khimsar is an ideal village for the weekend gateway in Rajasthan. Nagaur festival in Khimsar village is the well-known festival in Rajasthan. Due to the festival, Khimsar is very famous in Rajasthan. During the festival, cattle trade will take place and some other activities like tug-of-war, camel racing, etc. In Khimsar village we can experience the desert lifestyle. People who are interested to see the cattle trade festival of Rajasthan, Khimsar is the best place. 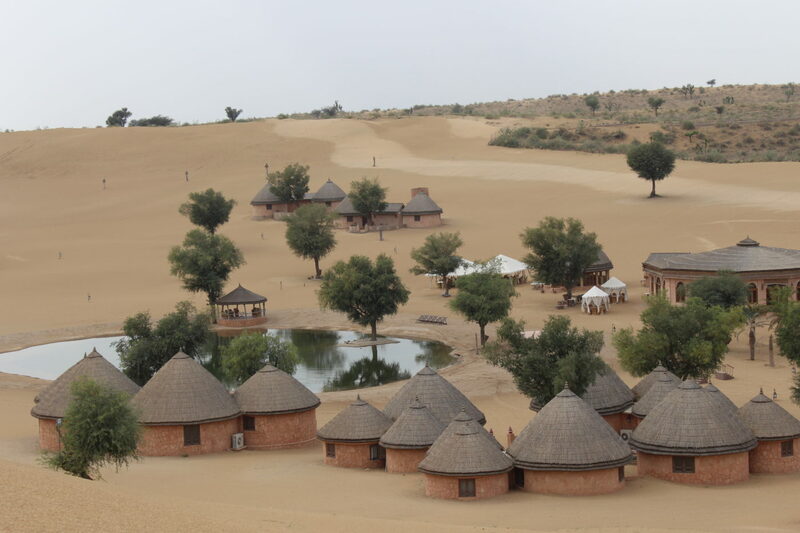 Tourist Attractions: Sam Sand Dunes village, Khimsar Fort, and the village experiences. A small village which was known as “Lucknow of Rajasthan” near Jaipur with a number of old mansions and mosques. 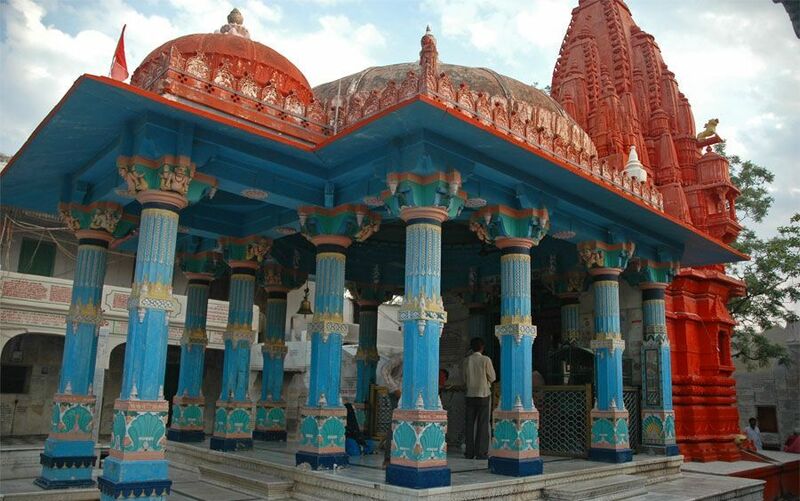 Tonk is the perfect village very near to Jaipur with wonderful architectural works. Mostly, here you can find numerous temples and mosques with different architectural styles. Even it is a small village but it reflects great architectural styles. Tourist attractions: Old Baoris (step wells), Ghanta Ghar, Jama Masjid, Shivaji Gardens, Bisalpur Dam etc. Here it ends, the list of top 15 places near and around the Jaipur. Each destination is known for different attractions and things. There is a lot to see around Jaipur also. So have a look at the nearby places of Jaipur to enjoy different experiences in your life.